Homes can go through a lot of wear and tear — especially after a busy winter. 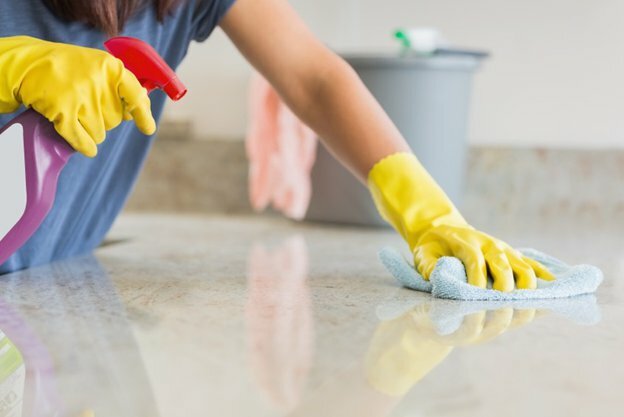 Keeping up with laundry, dishes, and vacuuming from one week to the next can go a long way to maintaining a tidy house, but once a year, it’s a good idea to dive in and scrub those spaces that might be neglected during routine cleaning. 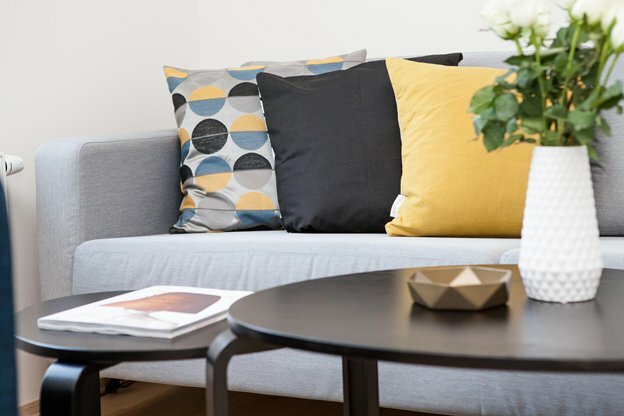 Give your living space a little extra love by following this room-by-room checklist on how to deep clean your home this spring or throughout the year. 1) Clear Away the Clutter. Before you embark on a deep clean, you’ll need to do a light one. Pick-up any items that have accumulated on the floor, on top of counters and table tops, or draped across furniture, so that you can get to the places you need to. 2) Make a Game Plan. Plot out which rooms you’ll tackle and when, keeping in mind how much time you think it will take to do a thorough job. Don’t be afraid to break the work up into multiple days or even weeks. If you’ve got limited time, or a bigger house, online sites like Care.com can help you hire quality house cleaning help near you. Remember: Deep cleaning is a marathon, not a sprint! Scrub All Showers, Bathtubs, Sinks, and Toilets. 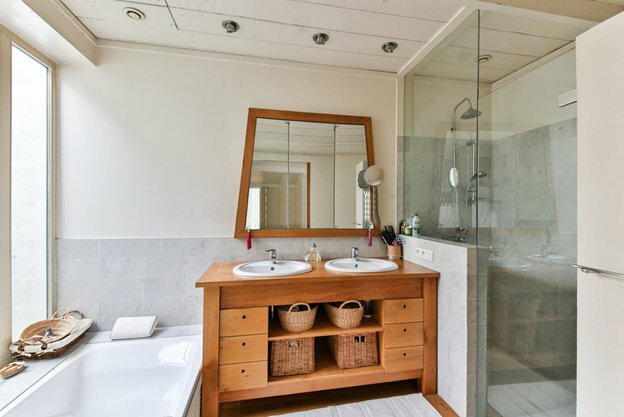 Before getting started in the bathroom, spray down your tub with multi-purpose cleaner so that it can soak for a while and break up any soap and oil that have accumulated. Do the same with the toilet bowls and sinks. That will make scrubbing that much easier when you circle back to it later on. TIP: Don’t forget to wipe down the base of the toilet near the floor, where dust and dribbles can sometimes land. Wipe Down Light Fixtures, Mirrors, and Window Treatments. Take extra time to carefully clean out gunk that has made its way into corners and around edges. Remove any grime or dust that has built up by wiping items down with a little vinegar on a damp rag. Wash Glass Shower Doors. To clear off that soap scum or water spot, apply some warm distilled white vinegar and let it sit for a half an hour or so, reapplying if needed. Then sprinkle some baking soda on top, and gently scrub the spots away. TIP: A slightly damp dryer sheet will also remove buildup. Toss Any Cloth Shower Curtains and Bath Mats in the Laundry Machine. Just be sure to check care tags to verify what cycle items should be washed on. To keep anything from wrinkling in the dryer, set the heat setting on low and take items out when they’re still a little damp. Then, hang them back up in the shower to finish drying completely. If you also have a plastic shower curtain liner, wash it in the laundry on cold, and rehang it to dry, or replace it with a new one. Clean Out Under the Sinks and Inside Drawers. Over time, these spaces tend to get cluttered. Take everything out so that you can wipe the bottom of the cabinets and drawers and clear out any cobwebs that might have formed. As you’re putting items back, toss what you no longer need, and organize the rest — taking care to put items you’ll use most frequently near the front for easier access. Don’t Forget the Grout. You can make a homemade grout cleaner using vinegar, baking soda and water. First, spray down the grout with a half-vinegar/half-water solution until the area is good and saturated. Let it sit for a few minutes, scrub with a bristled brush (an old toothbrush will do! ), and then rinse. Then, mix some baking soda with water until it forms a paste, apply it to the grout using your brush, and spray it with the water and vinegar. The bubbles that form will start to clean away some of the grit and grime, and your brush will do the rest. When you’re done, rinse the grout with warm water. TIP: In a pinch, carpet cleaner also works great on grout. Disinfect Handles and Door Knobs. These neglected pieces of hardware are some of the germiest places in the house. If you haven’t wiped them down in a while, it’s a good idea to give them a thorough cleaning with a multi-purpose cleaner or disinfectant wipes. Wipe Down Cabinets. With a damp rag, gently clean off any dust or dirt on the inside and outside of the cabinet doors, as well as all sides of the cabinets themselves — including the top. For grease-splatter, dip your cloth in undiluted vinegar to rub off the grease, then rinse the rag in warm water to wipe off the vinegar. Some cabinets will swell if they encounter too much moisture, so be sure to always ring out your rag well before wiping down the wood, and dry the surface quickly with a paper towel after cleaning. TIP: After wiping down the top of the cabinets, cut a newspaper to size to fit the space. As the months go by, the paper will collect the dust — not your cabinets — and you’ll only need to swap out the paper for next year’s spring cleaning. Vacuum Out the Refrigerator Coils and Vent. Use the vacuum’s hose or brush extension to remove all the dirt and dust from the fridge coil and vent, or rent an air compressor to blow it out. Clean Out the Fridge and Defrost the Freezer. Take everything out, so that you can remove food debris from the shelves and inside walls — starting from the top and working your way down. When you put food back, be sure to check expiration date, and toss anything that’s past its prime. Don’t forget to wipe down the fronts of the fridge and freezer, paying close attention to disinfecting the door handles. Throw Out Old Sponges. These kitchen tools are germ magnets. Even zapping them in the microwave won’t kill all the bacteria that find their way inside. Disinfect sponges every few days by letting them soak in a bleach-water solution (¾ cup bleach to 1 gallon of water) for five minutes. After a couple of weeks, however, they should be thrown out completely and replaced, or swapped for reusable silicone scrubbers that can be more easily disinfected. Scrub Down the Stove Top and Vent. For range hoods and stove tops covered in greasy dust, use a mineral oil to wipe away the film, then remove the oil with some warm water and dish soap. TIP: Coat gas stove top surfaces (not the grates) with car wax, then wipe it off. This will make it easier to clean up future spills. Clean the Oven. If your oven doesn’t have a self-cleaning function, you can make a DIY cleaner by mixing 5 tablespoons of baking soda, 5 drops of dish soap, and 4 tablespoons of vinegar into a paste and slathering it on the worst spots. Let it sit for a few minutes, and then scrub at it with a sponge or non-abrasive brush. For extra stubborn grease stains, place a few drops of dish soap on half a lemon, and rub it on the problematic areas. Then, scrub or wipe it clean. Organize the Pantry. After you’ve removed everything from the shelves and wiped them off, replace and organize the pantry items by purpose. For example, instead of having baking items stacked on a shelf or spread throughout the pantry, place all ingredients used exclusively for baking inside a clear bin or tub. That way, when you’re ready to make cookies, you already have everything you need and can easily carry the items to the counter and back. Similarly, use racks and clear containers to separate breakfast items from snacks or dinner ingredients, and so on. TIP: Mount a dry-erase board inside your pantry to keep notes of what you have or what you need. Clean Out the Microwave. While a spaghetti-splattered microwave can seem daunting, this might be the easiest task in the whole kitchen. Mix a tablespoon of vinegar with a cup of water, and microwave it on high for 5 minutes. The vapor from the boiling solution will coat every inch of food debris, and make it easier to wipe away. Disinfect the Sink. If you cook with raw meat in your home, chances are the kitchen sink is the germiest spot in the whole house. Give the basin a good scrub with a disinfectant or bleach solution to kill any bacteria lurking inside. Wipe Down the Countertops. 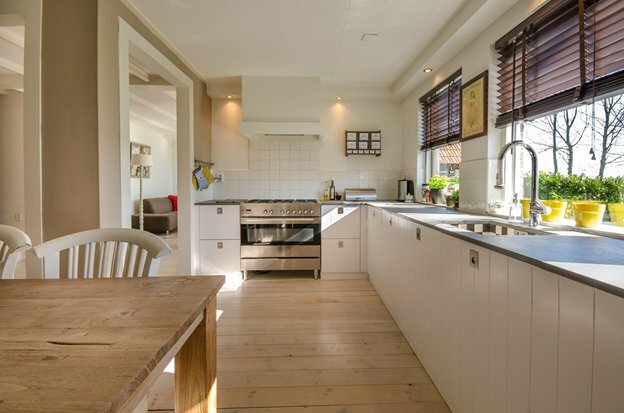 Remove any items on the counters, including appliances and knife blocks, and then use a disinfectant spray or cleaning wipes to get corners and spaces in the back that might not get as much attention throughout the year. While you’re there, wipe down the walls or backsplashes, too. Take Off All of the Cushions From Couches and Chairs, and Vacuum the Spaces Underneath. Pay special attention to the nooks and crannies where crumbs or dust might have made a home. TIP: Use isopropyl alcohol (rubbing alcohol) to remove stains from microfiber fabrics by dabbing it on with a white sponge — to avoid any dye transfers — and scrub with a white bristle brush. Shampoo Your Rugs and Carpets. Or, if you’d rather not spend the time, money, or effort to shampoo the whole house, spot clean stains using pet stain remover or a steam cleaner. TIP: In a pinch, the “steam” function on your clothing iron works great as a steam cleaner. Polish Your Wooden Furniture. Remove any items from bookcases or coffee tables to clean every surface with a dust rag, followed by wood cleaner or polish. Fix scratches by rubbing a walnut along the scratch or by using a stain pen. TIP: Remove water stains on your wooden furniture by blasting it with a hair dryer at close range and treating the wood with a furniture polish or mineral oil. Wipe Down Baseboards, Window Treatments, Light Fixtures, and Ceiling Fans. Use a telescoping pole or the vacuum cleaner extension attachment to reach high ceilings and corners. Remove and launder the drapes, and clean the windows with glass cleaner. Don’t forget to disinfect door handles! TIP: Use a lint roller on lamp shades to remove any dust or pet hair that have accumulated there. Dust Your Decor. Gently wipe or brush away dust from all of your knick knacks, picture frames, and clocks. 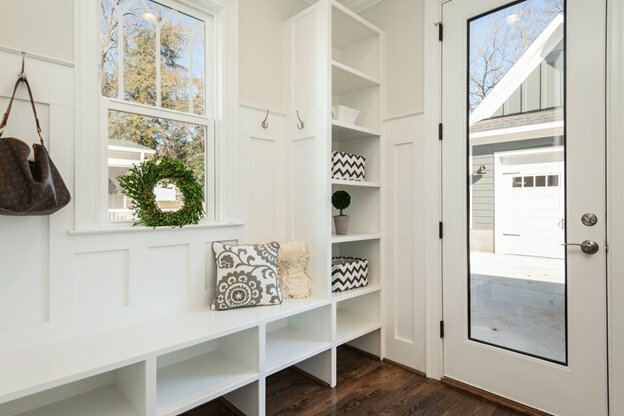 Depending on how many decorative items you keep in your home, this may be the most time-consuming activity you do during your spring cleaning. Clean Your Electronics. Another germy place in your house? The TV remote. Just think of all the (sometimes sticky) hands that touch it. Give your electronics a good wipe down, including the top of your TV and DVD player. Dust the front of any screens with a microfiber rag or a feather duster, making sure to get the corners. Wash the Bedding, Including Bed Skirts, Shams, and Duvet Covers. 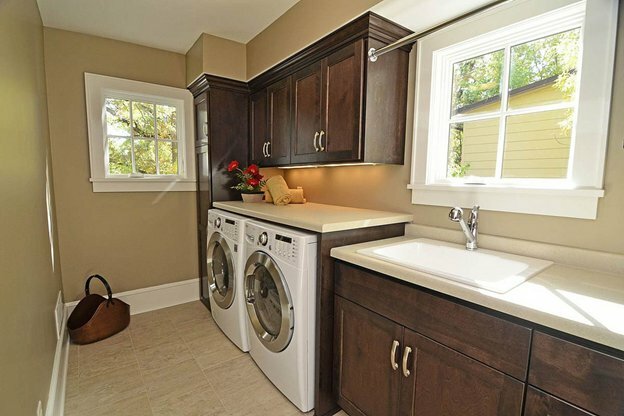 If some of the items are too big to fit in your laundry machines, take them to a laundry mat or dry cleaners. Don’t forget the pillows! Flip Your Mattress. Or if you have a pillow top, rotate it to prevent grooves from forming due to sleeping in the same spot for too long. Freshen the mattress by spreading on some baking soda, letting it sit for 45 minutes to an hour, and vacuuming it back up. TIP: Use foam shaving cream to remove mattress stains by letting it sit for 15 minutes before wiping it off with a slightly damp rag dipped in a half-water/half-vinegar solution. 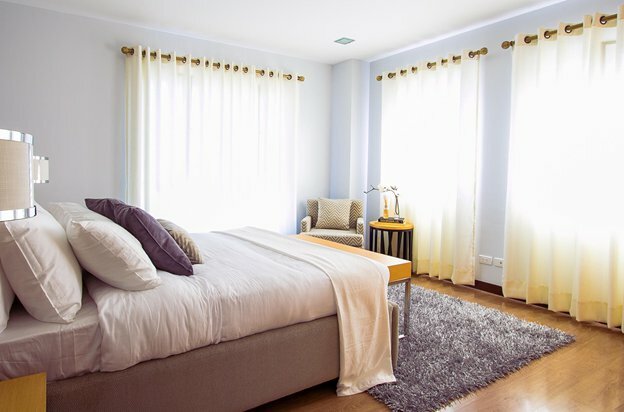 Dust Neglected Surfaces, Like Window Treatments, Headboards, and Ceiling Fans. If you have drapes, vacuum or launder them, too. TIP: Be careful wiping off ceiling fans, as dust clumps can fall on you while dusting. To prevent this, slide each fan blade into a pillowcase to get the bulk of the dust off before taking a rag to it. Vacuum or Mop Under Furniture, Including Behind Dressers and Under Beds.Pay extra attention to corners and baseboards. TIP: If your furniture is too heavy to move, use the vacuum cleaner attachments or a telescoping pole to swivel a mop head or rag to get to hard-to-reach places. Sort Through Items and Get Rid of Anything You No Longer Need or Use. If you’re really wanting to keep something, ask yourself: 1. Does it fit? 2. Is it flattering on me? 3. Have I used it in the past year? If you answer “no” to any of the above, strongly consider donating or selling it. TIP: Turn around all of the hangers so that they are hanging backward, and throughout the year, only turn each one back the right way if you’ve worn the item. If something is still hanging backward during next year’s spring cleaning, you’ll know which items to get rid of first. Rotate Seasonal Items. 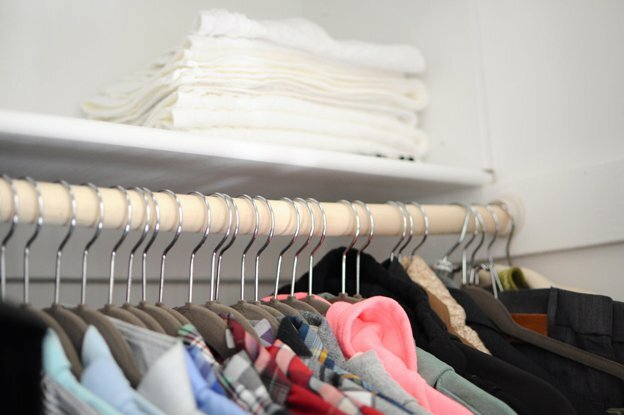 If you’re doing spring cleaning in the spring, pack up those bulky sweaters and heavy coats and store them on a shelf or in the back of your closet until next winter. The same can be done in the fall for summer clothing and accessories. Vacuum Carpet and Ceilings. Remove any items from the floor, and vacuum up any dust that might have built up under your shoe rack or nostalgia box. Don’t forget to get into the corners of the ceiling to capture any cobwebs or dust bunnies. Wipe Down Shelves and Inside Drawers. Remove all items, and wipe down the space with a damp rag. As you replace the items, think about how they can be organized so that you’re more likely to keep the space tidy. TIP: Use drawer dividers or fabric bins to organize small items like hand towels or underwear. Wipe Laundry Machines and Countertops. Use a damp rag to remove the light dusting of lint that tends to settle on every surface in the laundry room. Toss Any Rogue Dryer Sheets and Empty Detergent Bottles. Look between the machines, behind doors, and under cabinets to catch any pesky dryer sheets or lint clumps. Dispose of any outdated cleaning supplies, taking special care to follow your city’s instructions, as not all cleaning supplies can go in the regular municipal trash pick up. Organize Supplies. If things have gotten a little cluttered, neatly line up cleaning supplies, so you can more easily see and access the items you need. If small children are in the home, ensure dangerous cleaning supplies are out of reach or kept in a secured cabinet. Sanitize Your Washing Machine. After every load of laundry, it’s a good idea to leave the washing machine door open to let it air out and prevent mold from growing inside. Once a year, however, it’s a good idea to sanitize the machine to remove any mold and get out detergent that has started to build up. Use multi-purpose disinfectant or a vinegar solution to clean the rubber seal around the door of the machine, as well as inside the dispensers. If your washer doesn’t have a self-cleaning cycle, run the empty machine using hot water and a little bleach. Clean Out Your Lint Trap Filter and Dryer Vent. Clogged dryer vents can pose a fire hazard for your home, and poor airflow can allow condensation to accumulate behind your walls, so it’s especially important to keep these passageways clean. After every load of laundry, remove lint from your lint trap, and at least once a year, vacuum out any lingering debris on the trap itself, as well as the space where it’s housed inside the dryer. Then, unplug the dryer, and disconnect the dryer duct — a 4-inch pipe, typically located in the wall directly behind the machine. Gently pull the dryer away from the wall just enough to access the duct. If you have a gas dryer, be extra cautious not to mess with the gas line. You can use a vacuum or special duct cleaning kit to remove debris inside the line, as well as wherever the dryer’s vent is housed outside your home. When you’re done, reconnect everything, and place the machine back into its position. TIP: If your vent line is much longer than your vacuum hose can reach, or the outside vent outlet is inaccessible, consider hiring a professional duct cleaning service every few years to ensure the entire line is clear. Mop or Vacuum the Floor. When you’ve cleaned everything else in the room, vacuum or mop the floor, taking care to reach the corners and behind the machines, using periscoping handles or vacuum extensions. Remove Items and Wipe Down Hooks and Shelves. Use a damp rag or multi-purpose cleaner to clean dirt off of any shelving and hooks, especially where shoes are kept. Toss or Store Unused Items. Get rid of any items you no longer use or items family members have outgrown, including seasonal jackets or shoes. Wash and store items you want to keep, and donate or sell the rest. Organize Items by Purpose and Practicality. It doesn’t take much for the mudroom to fall into disarray. Give yourself and your family the best chance at keeping the space clean by thinking through where items are normally placed, and organize from there. If shoes are often thrown on the ground, for example, bins to store them should be on or near the floor. Baskets can be used to catch small items (like keys or earphones), and multiple hooks are great for storing winter gear and backpacks. Declutter. Now’s the time to take a good, long look at everything in your garage and ask yourself, “Do I need this?” Dispose of old cleaners, broken equipment, and abandoned projects, and anything else that no longer has a use. Sweep the Floors. If you can, remove everything at ground level in the garage, and use a broom to sweep out the dust, leaves, and mystery gunk that have settled there. Maximize Your (Vertical) Space. 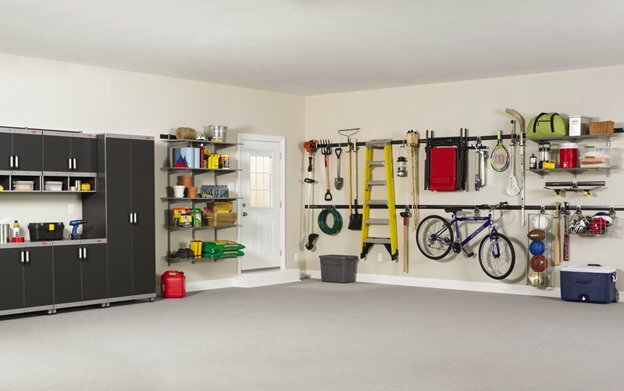 Many garages have empty space above the garage door or near the ceiling that can be used for storage. Investing in sturdy shelves near the ceiling is a great way to store those rarely used items like Christmas trees or beach umbrellas. Similarly, bikes and seasonal garden equipment can be hung from the ceiling or high up on a wall to best utilize the space available. Get Out the Hose. Spray down patios, decks, porches, lawn furniture, playground equipment — and any other large item or space you have outside your home. 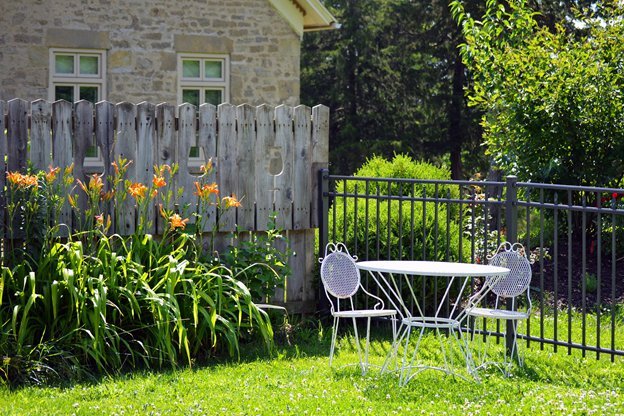 For the siding, you may want to rent or invest in a power-washer to remove buildup on the outside of the house. Tidy the Yard. Pull any weeds sprouting up in your lawn or garden. Lay down mulch or compost (if needed), and plant any flowers or edible greens you’d like.